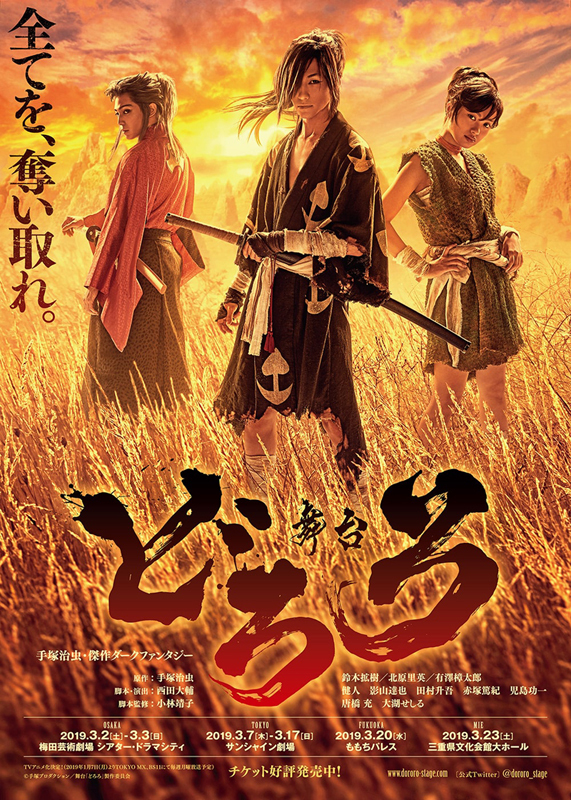 TezukaOsamu.net/en > NEWS > Event/Stage Performance > Tickets of the play: Dororo, released on Jan.13, are now available. *Talk shows are held after the all performance above. For further information, check the official site.